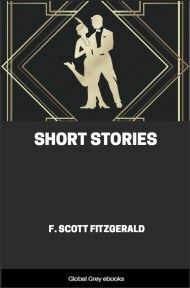 A massive collection of 54 short stories from F. Scott Fitzgerald, including: An Alcoholic Case; Family In The Wind; The Hotel Child; One Trip Abroad; Emotional Bankruptcy; Josephine: A Woman With A Past; The Bridal Party; First Blood; At Your Age; The Swimmers, and many, many more. Some of the caddies were poor as sin and lived in one-room houses with a neurasthenic cow in the front yard, but Dexter Green’s father owned the second best grocery-store in Black Bear — the best one was “The Hub,” patronized by the wealthy people from Sherry Island — and Dexter caddied only for pocket-money. In the fall when the days became crisp and gray, and the long Minnesota winter shut down like the white lid of a box, Dexter’s skis moved over the snow that hid the fairways of the golf course. 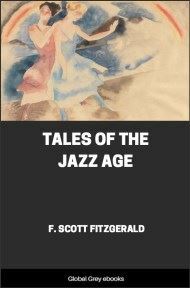 At these times the country gave him a feeling of profound melancholy — it offended him that the links should lie in enforced fallowness, haunted by ragged sparrows for the long season. It was dreary, too, that on the tees where the gay colors fluttered in summer there were now only the desolate sand-boxes knee-deep in crusted ice. 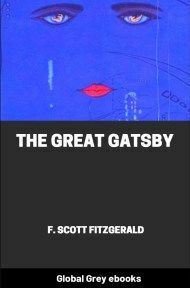 When he crossed the hills the wind blew cold as misery, and if the sun was out he tramped with his eyes squinted up against the hard dimensionless glare. Dexter knew that there was something dismal about this Northern spring, just as he knew there was something gorgeous about the fall. Fall made him clinch his hands and tremble and repeat idiotic sentences to himself, and make brisk abrupt gestures of command to imaginary audiences and armies. October filled him with hope which November raised to a sort of ecstatic triumph, and in this mood the fleeting brilliant impressions of the summer at Sherry Island were ready grist to his mill. He became a golf champion and defeated Mr. T. A. Hedrick in a marvellous match played a hundred times over the fairways of his imagination, a match each detail of which he changed about untiringly — sometimes he won with almost laughable ease, sometimes he came up magnificently from behind. 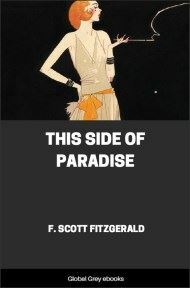 Again, stepping from a Pierce-Arrow automobile, like Mr. Mortimer Jones, he strolled frigidly into the lounge of the Sherry Island Golf Club — or perhaps, surrounded by an admiring crowd, he gave an exhibition of fancy diving from the spring-board of the club raft. . . . Among those who watched him in open-mouthed wonder was Mr. Mortimer Jones. The little girl who had done this was eleven — beautifully ugly as little girls are apt to be who are destined after a few years to be inexpressibly lovely and bring no end of misery to a great number of men. The spark, however, was perceptible. 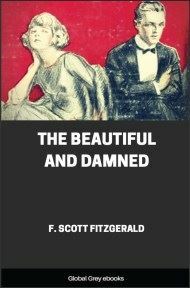 There was a general ungodliness in the way her lips twisted down at the corners when she smiled, and in the — Heaven help us! — in the almost passionate quality of her eyes. Vitality is born early in such women. It was utterly in evidence now, shining through her thin frame in a sort of glow. The smile again — radiant, blatantly artificial — convincing.